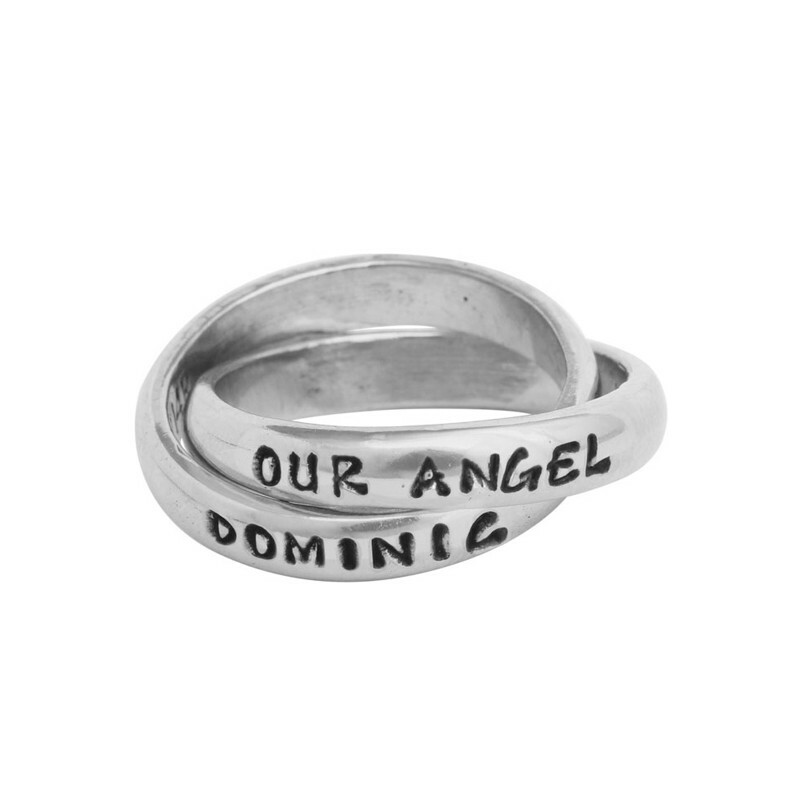 Our single, double and triple bereavement rings are meant to be a subtle remembrance of someone who touched your heart and you will always hold dear. Available in silver or gold, you can decide the best and most meaningful way to remember your love. 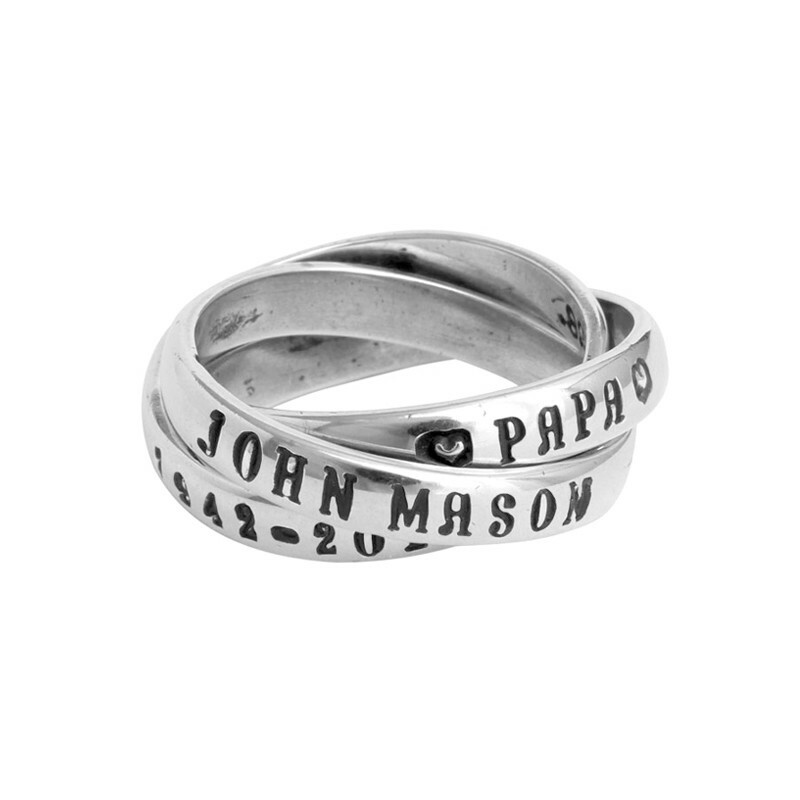 "Memorial Jewelry, Customized Double Ring Silver"